This time of year is so blah. The holidays are over, the weather is cold, and many families are cooped up indoors with nothing to do. It's easy to understand why so many people dislike the winter months. This is definitely true for my family! We spend so much time together during the holidays, and in January, it comes to an abrupt end. Everyone is busy with their own activities, and we are rarely together. When we are in the same place at the same time, it's usually because the weather has us trapped indoors. Sometimes my entire family just needs to escape for a little adventure and reconnect! It's easy to fall into the hibernation trap, but it's so important to get out of the house before the winter blues strike! Since our time together is limited, we usually opt to go out to eat. A simple change of scenery can easily improve our mood, and an hour spent reconnecting is often exactly what we need! My family of six usually heads to our local Pizza Hut. 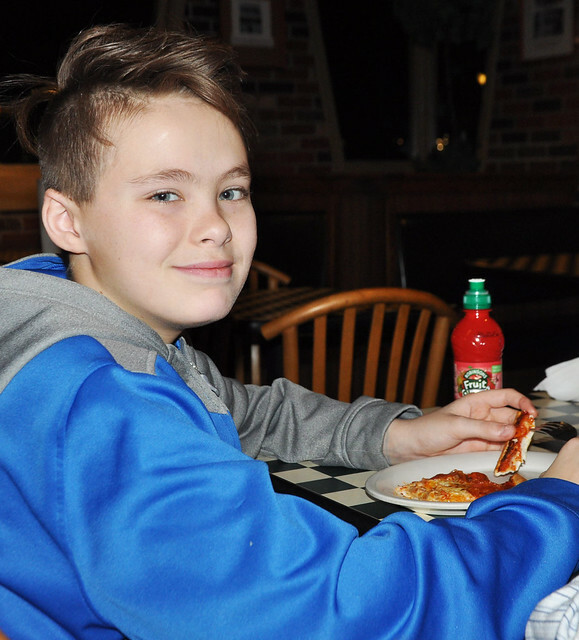 It's family friendly, we all love their pizza, and they have quick service, which is a must for our busy lifestyle. 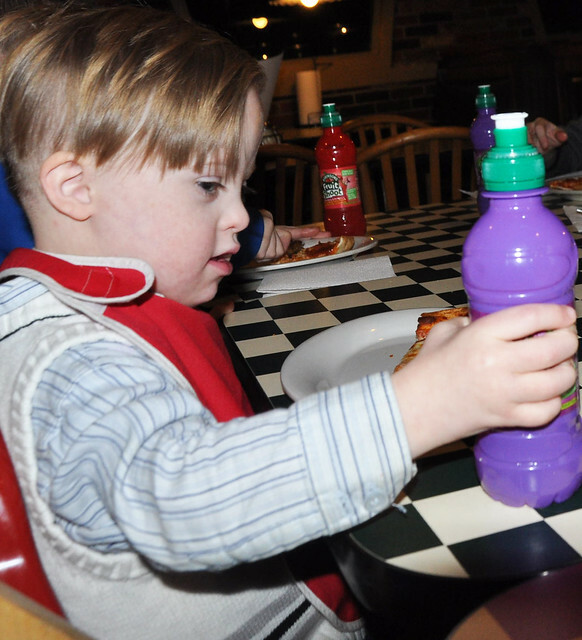 An added bonus is that they serve my kids' favorite drink: Fruit Shoot! 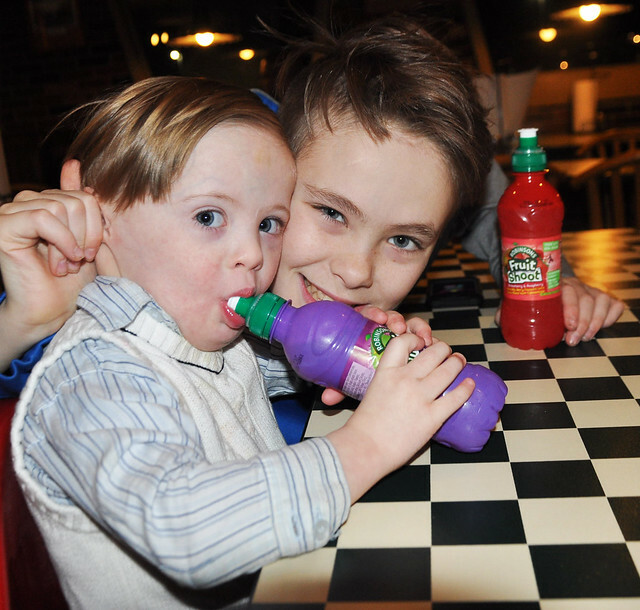 My kids fell in love with Fruit Shoot the moment they first tasted it! This No High Fructose Corn Syrup/No Artificial Flavors juice drink comes in popular flavors such as Berry Burst, Apple and Strawberry & Raspberry. It is available in both no added sugar and made with real sugar varieties. 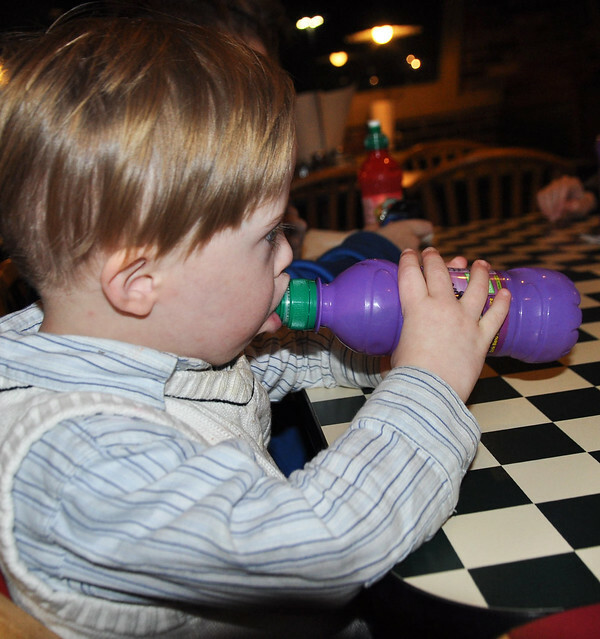 My kids love the flavors and I love the fact that they are a much healthier option at 100 calories or less per bottle. 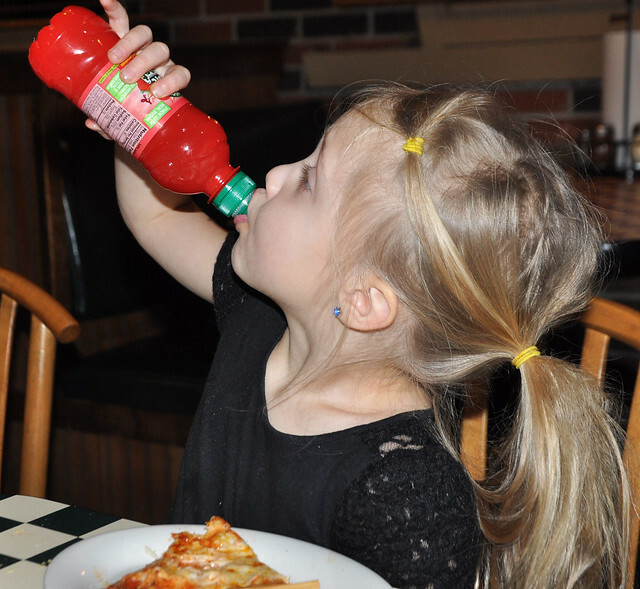 Fruit Shoot can be hard to find, so my kids are always so excited when they find out we are heading to Pizza Hut! 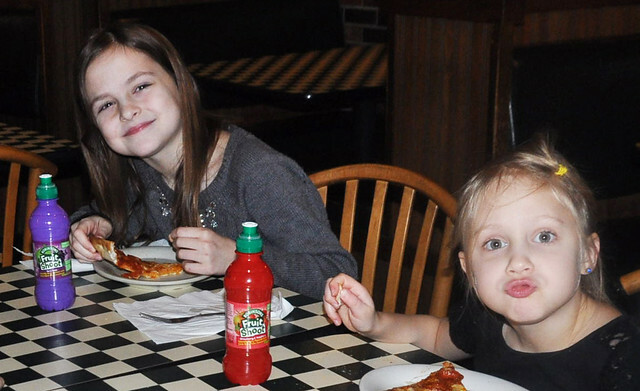 What makes delicious food and treasured family time even better? The ability to give back while we eat! 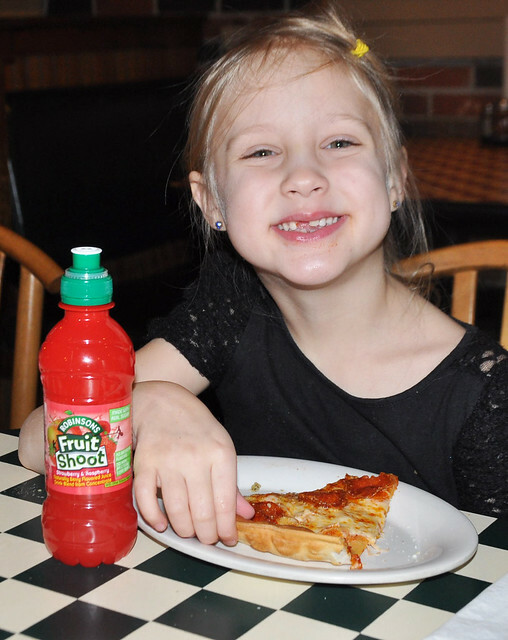 Until April 30th, 2017, five cents of every bottle of Fruit Shoot purchased will be donated to the First Book literacy program. Not only do we love to give back, but we also believe in the importance of reading, so my family happily supports this great cause. We usually purchase additional Fruit Shoot drinks on the way out the door. The sports cap makes it a great choice for kids of all ages, and thanks to the lid, it's the perfect on-the-go option! When my family goes out to eat together, it's always an adventure! With four kids, there's literally never a dull moment. Even if it's loud and chaotic, we treasure those moments. Taking the time to reconnect during the busyness of everyday life is incredibly important for my family. 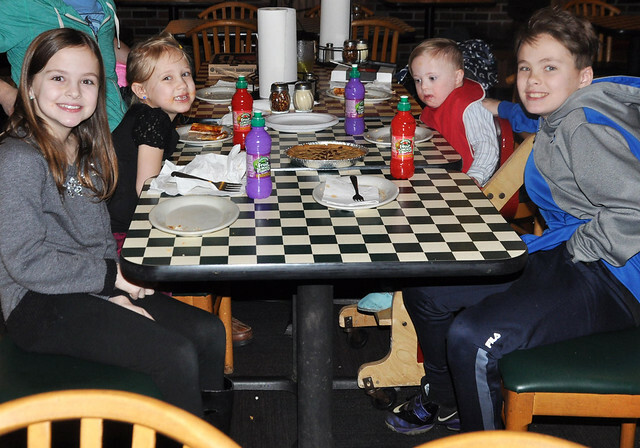 Sometimes the simple act of going out to eat at one of our favorite restaurants can bring us together and make us forget all about those winter blues! My husband and I believe in making family a priority and we are working hard to pass on those values to our children. We believe in the importance of making each of them feel special and loved every single day, so we make it a point to ask our children the same 10 questions each day. What are you dreading tomorrow? What was one important lesson you learned today? As many parents know, most kids aren't very open about their day, especially if they go to school. The details are often few and far between. Asking these questions each night gives valuable insight into your child's thoughts and feelings and a glimpse into the aspect of their life that you don't get to see! 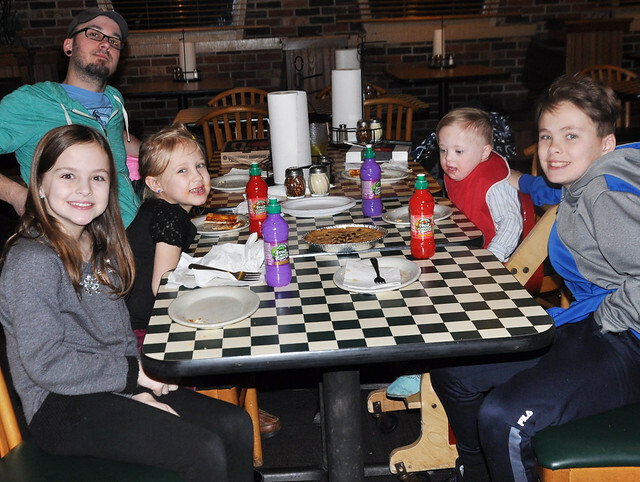 My family loves to go on adventures together, even if it's just the simple act of going out to eat! 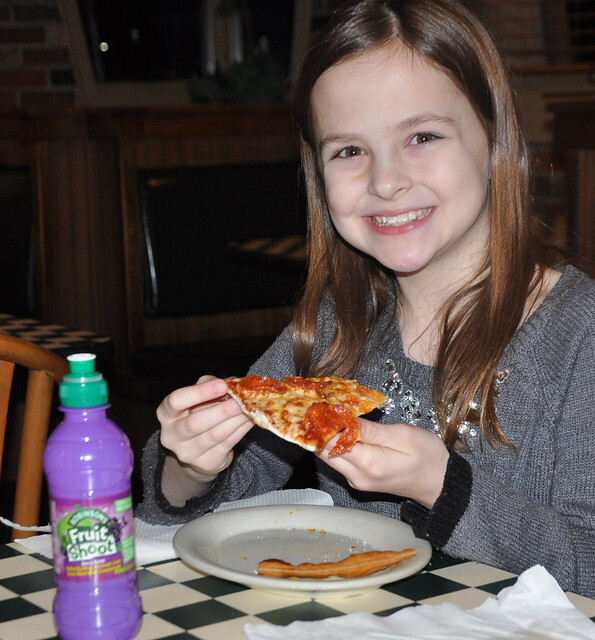 Go on your own adventure and support the First Book literacy project by purchasing a Fruit Shoot product at your local Pizza Hut! 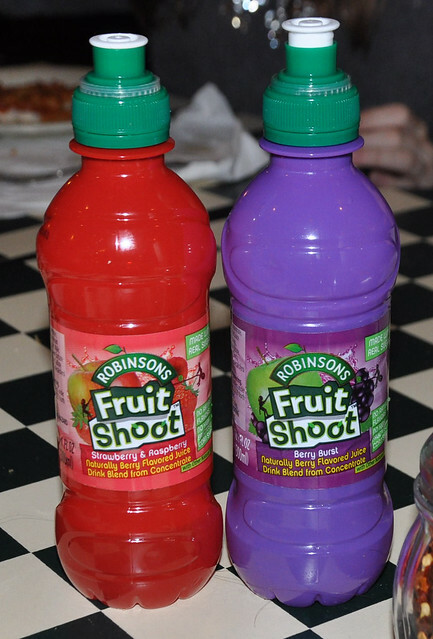 Find more information about Fruit Shoot HERE and HERE. Learn more about the First Book literacy project HERE. Thank you to Fruit Shoot for sponsoring today's post and inspiring us to step out of winter hibernation to go on a family adventure! I love the 10 questions! 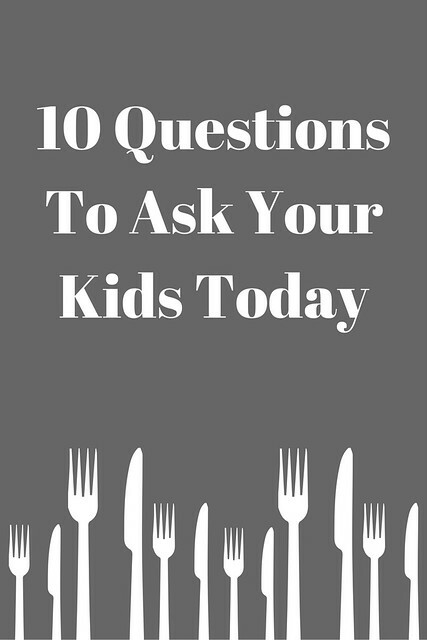 I usually ask questions like that when we are sitting at the dinner table. It's fun to get a conversation going and interact as an entire family. Thanks! We love going on adventures too! Great post. Those are great questions. My kids would totally be HUGE fans of this too. Love the 10 questions! We need to have a few family adventures to beat these winter blahs. We have a conversation jar we bring out at dinner that helps prompt conversations. I love listening to CJ tell me his thoughts and opinions. I wish we had a PH closer to us. Growing up, heading to the PH was always a special treat! And, I'm totally printing off those questions to ask Marcus this evening at dinner. Love the 10 questions! We ask several to Jacob and Olivia each evening at dinner, but there are a couple of yours that I'm going to start adding in! Love these questions, we do something similar with our kids, they love asking us the same questions back after we ask them. It's so fun for them and us and it gets the kids talking. My kids would love those fruit shoots! I love those questions too, totally going to ask Brayden them! Ringing in the New Year: Happy 2017!